Norman Robert Bell was born c. 1913. He was the son of William and Margaret Ann Bell of 170 Bromwich Street, Bolton. His father, Wiliam Bell, was a Relieving Officer in Bolton and would have carried out the work of Poor Law administration (and enforcement) before the welfare reforms of the 1940s. 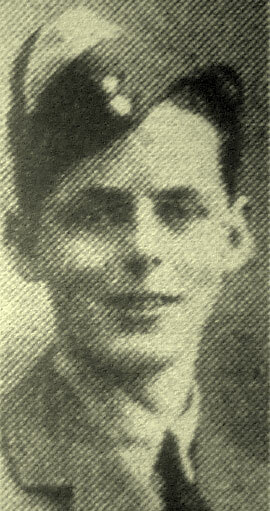 Norman attended Bolton Church Institute between 1934 and 1939 (VI Form). He was Secretary of the Bolton Youth Panel and before the War he worked as a clerk for the Social Welfare Committee of Bolton Corporation. Norman joined the RAF in May 1942. He was undergoing pilot training when he was killed in an accident. RAF aircrew (all volunteers and from many countries besides Britain) received long and thorough training - often in other countries. Over 7,600 pilots and 2,300 navigators were trained in Zimbabwe (then Southern Rhodesia). Inevitably there were many accidents due to pilot or navigational errors. AC2 Norman R Bell (200 RAF, late of 170 Bromwich-st, has died of injuries in South Africa. Until he joined the forces in march 1943 AC Bell was employed as a clerk of the Social Welfare Committee of Bolton Corporation, and attended the Parish Church. An old boy of Bolton Church Institute, he was secretary of Bolton youth panel. Bell – In December 1943 (by accident) on active service in Southern Rhodesia, Pilot Pupil NORMAN ROBERT BELL, aged 20 years, dearly loved son of Mr and Mrs W Bell, 170 Bromwich-st., brother of Will and George. Toc H Ceremony of Light during Evensong, 3-15 pm, Bolton Parish Church, Sunday Jan. 9th. 1944. Relatives, friends and acquaintances invited to attend.